I was born and raised in Germany where I began my career as a professional rider and breeder of competition horses. 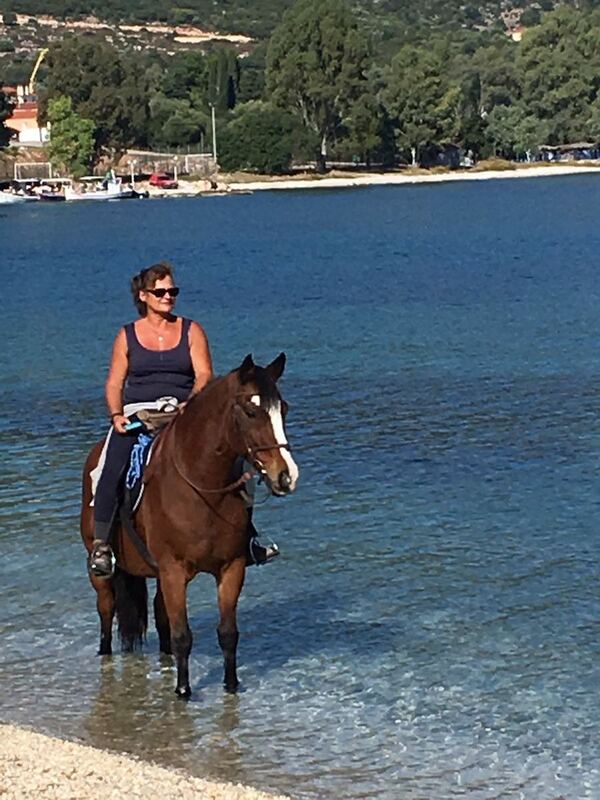 27 years ago I came to Kefalonia and fell in love with the island immediately, it was from this that I had the idea to open my own stables here and I haven't looked back since! I have 13 beautiful horses waiting for you to explore the beautiful ancient island on horseback! The horses are mainly Haflingers that originate from Bavaria and north italy and their breed are very well known to be kind, calm, good weight carriers and sure footed in the mountains! I also have a few with Hanorvarian and Arab breeding. I have trained all my horses myself and many have been bred on the Island by myself also. As well as being good trekking horses they have also been trained by me to a medium level of dressage, which you can enjoy lessons on in our lovely 20x40 open arena with the best mountain views! The horses all live in big open paddocks with sheltered barns and trees to keep cool in the summer! The team at the stables can speak a variety of English, German, and Greek! We provide group trekking up to 11 people if needed for scout groups, school trips or big families for beginners or experience competition riders! For beginners we will have you on a rope next to the horse the guides will be riding if you would like. 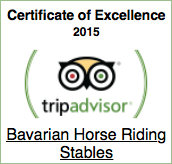 We hope to welcome you in our stable and come and explore the most beautiful island! You can book our beautiful traditional villa in Sami and enjoy one hour of horse riding per person for a stay of more than 7 days. Copyright © 2019 kephalonia.com / Designed by Sami Computers ICT.